A sacred site in Beit El is suggested as the place of Jacob's dream. Genesis 28:12: "And he dreamed, and behold a ladder set up on the earth, and the top of it reached to heaven...". The site was holy to the three religions: A Makam (a Muslim prayer house), a Crusader period chapel, ancient Jewish tombs and a fortified compound that may have been Jeroboam's altar of Beit El (Bethel). 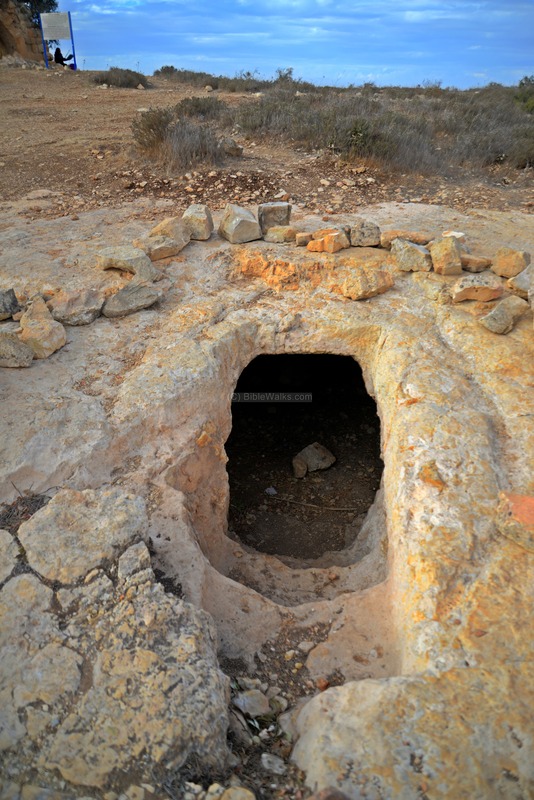 Some scholars suggest that this was the place of Jacob's dream, based on its location and the elements that exist on the hill. 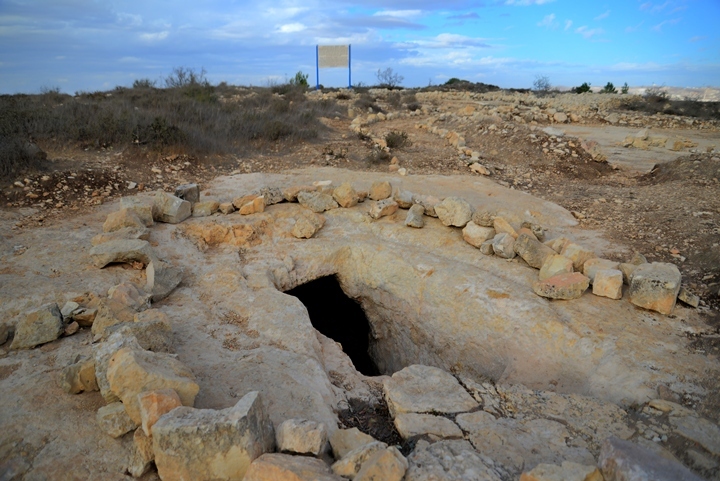 Its tradition may have been preserved here and reflected in the holiness of the site to the three religions, which are based on ancient Jewish traditions. 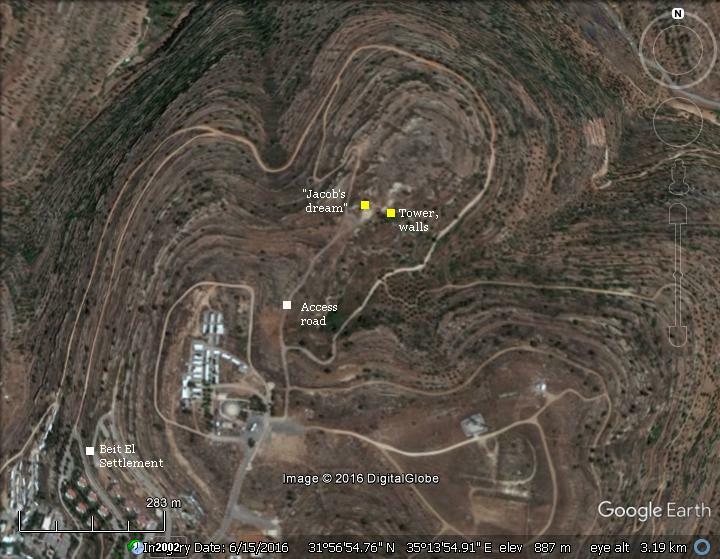 The site is located on a high mountain (altitude 886m), north of the modern community of Beit El ("House of God"), about 20km north of Jerusalem. 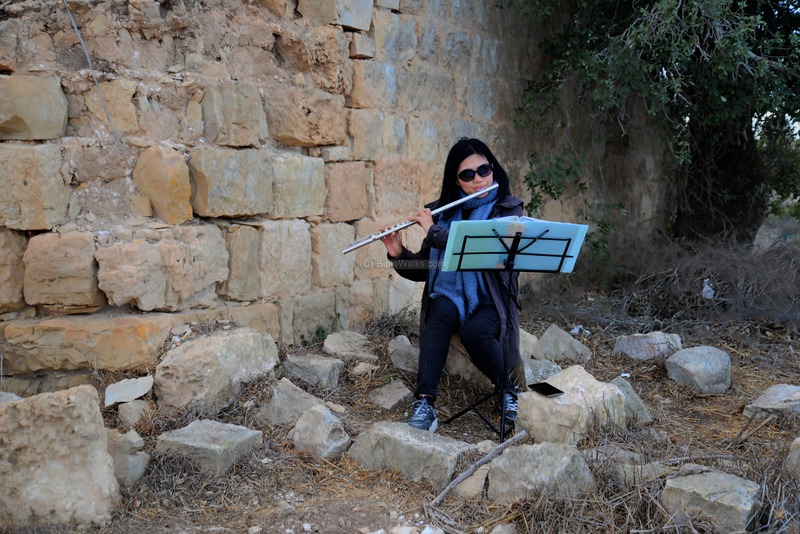 It is accessed through the Beit El community. Jacob, the Biblical Patriarch, was on his way north to Haran to meet his cousin Laban. 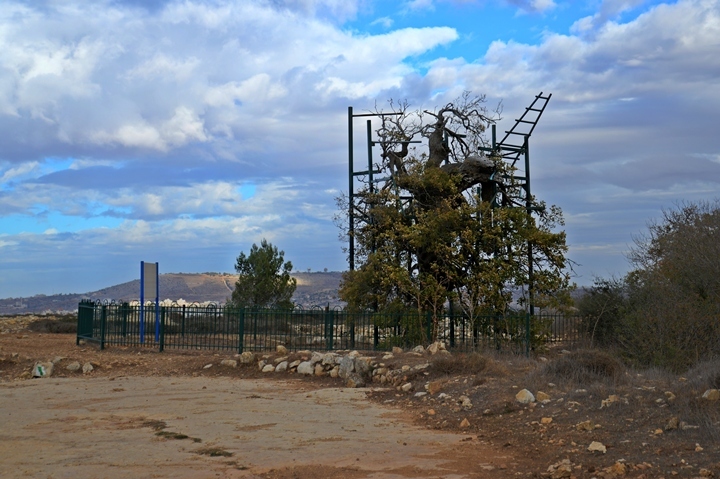 Haran, a place in modern day Turkey, was once his grandfather Abraham's home. 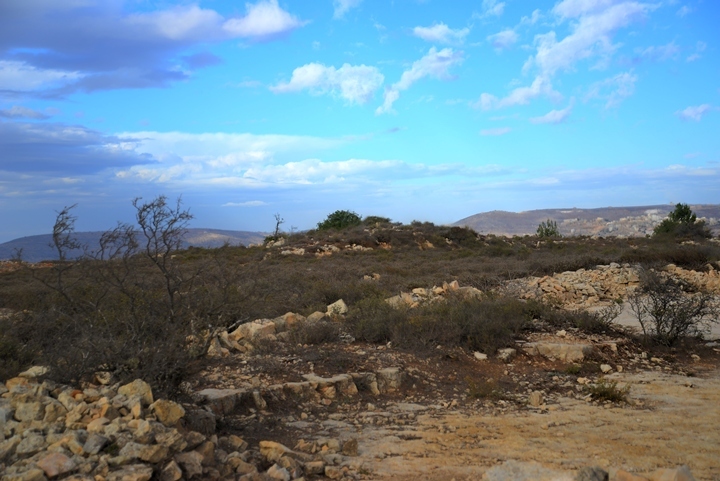 Along this journey through Samaria, Jacob camped overnight in Beit El, which may have been the sacred site where Abraham first erected an altar (as per Genesis 12:8). 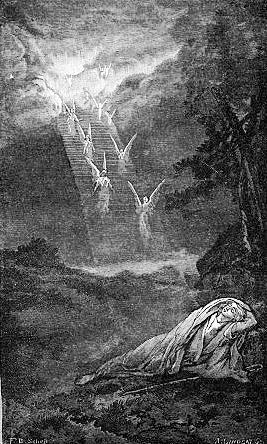 Sleeping with a stone pillow under his head, he dreamt on a ladder to the sky with angels ascending and descending over it. God spoke to him in his dream, promising the land to his blessed descendents. Genesis 28:10-22: "And Jacob went out from Beersheba, and went toward Haran. And he lighted upon a certain place, and tarried there all night, because the sun was set; and he took of the stones of that place, and put them for his pillows, and lay down in that place to sleep. 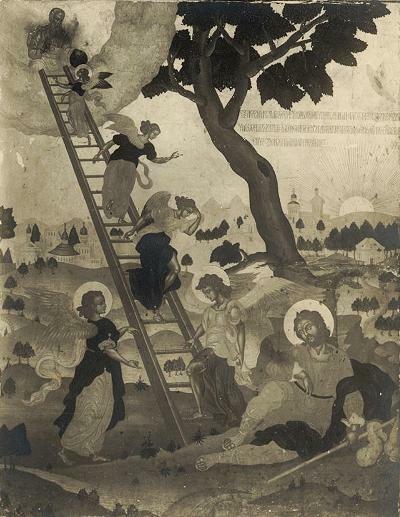 And he dreamed, and behold a ladder set up on the earth, and the top of it reached to heaven: and behold the angels of God ascending and descending on it. And, behold, the LORD stood above it, and said, I am the LORD God of Abraham thy father, and the God of Isaac: the land whereon thou liest, to thee will I give it, and to thy seed; And thy seed shall be as the dust of the earth, and thou shalt spread abroad to the west, and to the east, and to the north, and to the south: and in thee and in thy seed shall all the families of the earth be blessed. And, behold, I am with thee, and will keep thee in all places whither thou goest, and will bring thee again into this land; for I will not leave thee, until I have done that which I have spoken to thee of. "And Jacob awaked out of his sleep, and he said, Surely the LORD is in this place; and I knew it not. And he was afraid, and said, How dreadful is this place! this is none other but the house of God, and this is the gate of heaven. And Jacob vowed a vow, saying, If God will be with me, and will keep me in this way that I go, and will give me bread to eat, and raiment to put on, So that I come again to my father's house in peace; then shall the LORD be my God: And this stone, which I have set for a pillar, shall be God's house: and of all that thou shalt give me I will surely give the tenth unto thee". "And Jeroboam said in his heart, Now shall the kingdom return to the house of David: If this people go up to do sacrifice in the house of the LORD at Jerusalem, then shall the heart of this people turn again unto their lord, even unto Rehoboam king of Judah, and they shall kill me, and go again to Rehoboam king of Judah. Whereupon the king took counsel, and made two calves of gold, and said unto them, It is too much for you to go up to Jerusalem: behold thy gods, O Israel, which brought thee up out of the land of Egypt. And he set the one in Bethel, and the other put he in Dan. And he made an house of high places, and made priests of the lowest of the people, which were not of the sons of Levi. And Jeroboam ordained a feast in the eighth month, on the fifteenth day of the month, like unto the feast that is in Judah, and he offered upon the altar. So did he in Bethel, sacrificing unto the calves that he had made: and he placed in Bethel the priests of the high places which he had made". 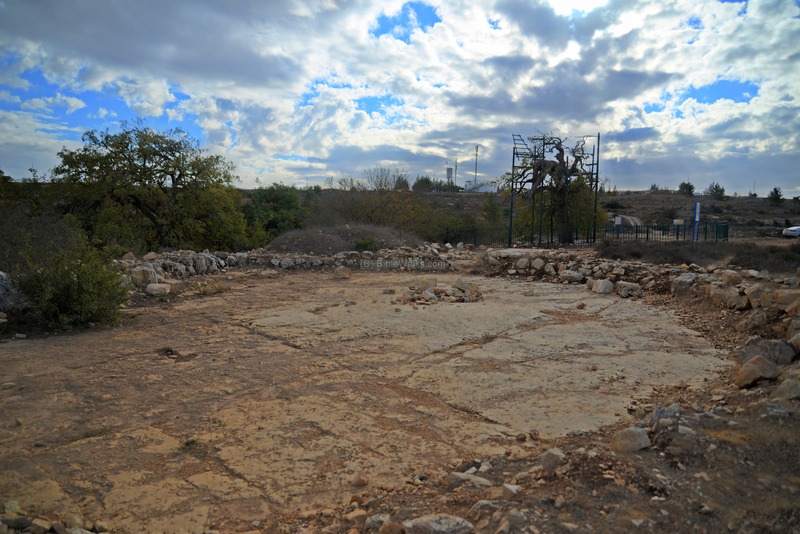 Beit El is identified by some scholars near the Arab village of Beitin, north of El Bireh, 17km north of Jerusalem. 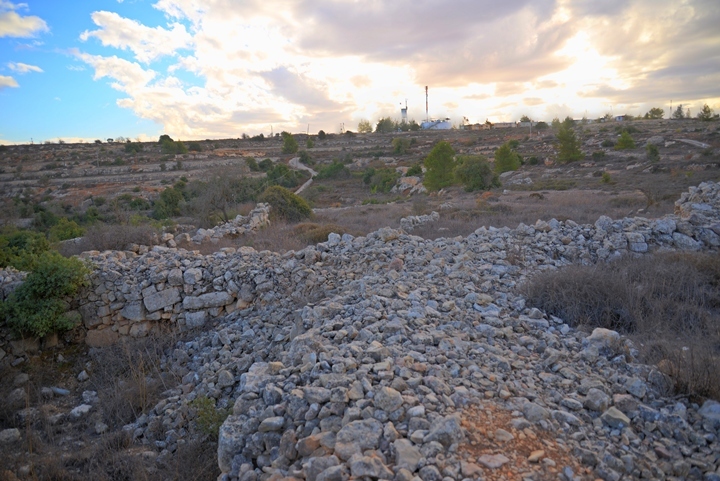 A new suggestion places the dream site at a location north of the Jewish community of Beit El, 3 km north of Beitin. The place is reviewed in this web page. 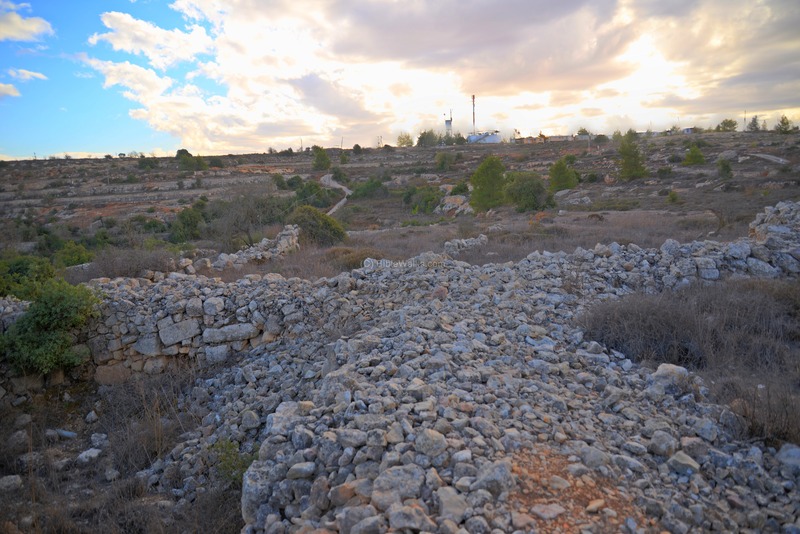 The archaeological excavations in Beitin revealed remains from the Early Bronze period, a fortified Canaanite city starting at the 17th century BC, and a prosperous city in the 15th to 13th century BC that was destroyed in the 13th century (by Joshua, as per the excavator J.L. Kelso's article of 1956). An advanced city was established during the Judean Kingdom (10th-6th century BC). 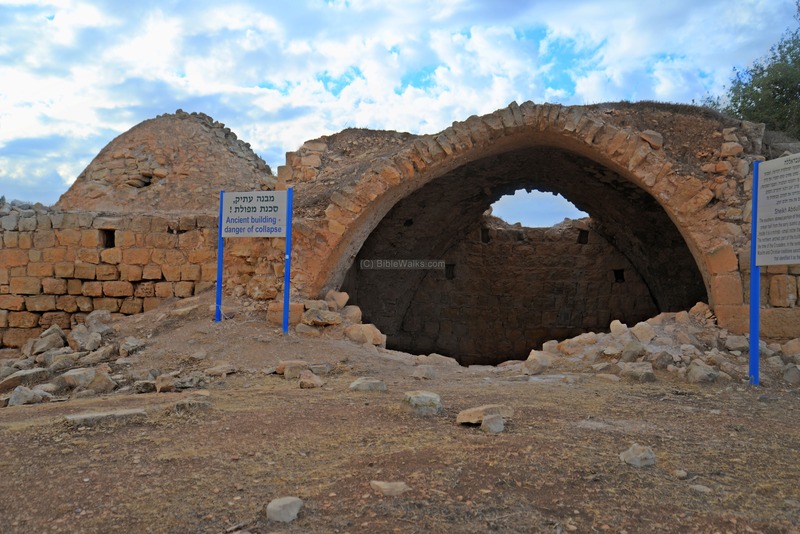 It was not destroyed by the Assyrians, as witnessed by archaeologists in nearby cities an villages. However, the city was destroyed by the Babylonians in 550 BC. It was rebuilt during the Persian period and continued to grow during the Hellenistic period. The Seleucid general Bacchides fortified Bethel among other forts north of Jerusalem, in order to quell the Hasmonean rebellion (1 Maccabees 9:50-51): "...And they built strong cities in Judea... and in Bethel... with high walls, and gates, and bars. And he placed garrisons in them, that they might wage war against Israel". The city was abandoned briefly following the great revolt (69 AD). 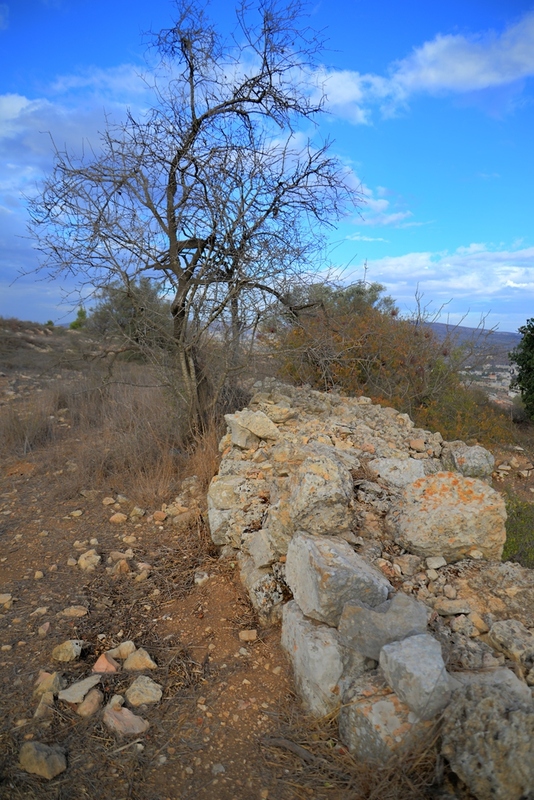 It was fortified during the Byzantine period (5th-6th century AD). 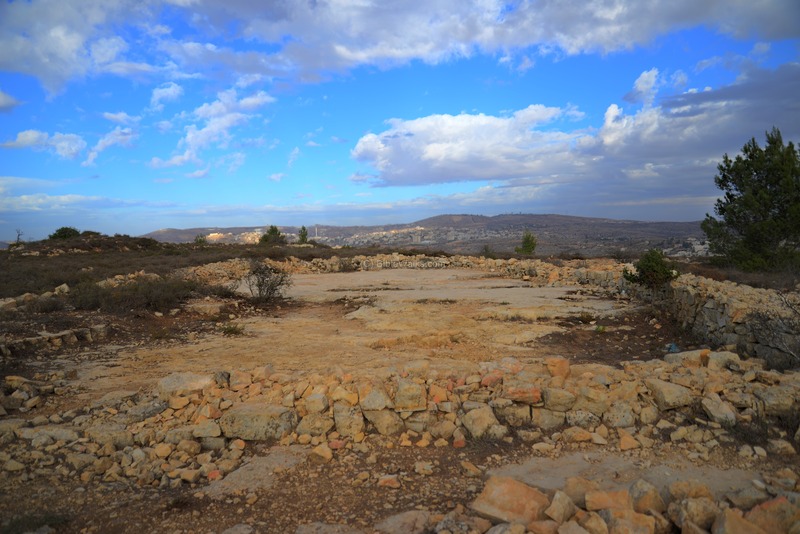 The city was then destroyed after the Arab conquest (7th century), and laid in ruins until the 19th century when Arabs resettled the village in what today is called Beitin. "Beitin - The church is on the southeast, north of the birkeh. It measures 108 feet by 47 feet outside; the walls are very thick, the side walls being 10 feet. There is an apse on the east 16 feet diameter. The masonry is of moderate size ; several bossed stones occur in the walls ; in the north-east angle outside are some long stones, 4 feet or more by I foot in height, the drafts being rude and the bosses rustic. A simple moulding runs round the apse at the springing of the roof. The apse dome is of unsquared stones, rudely bedded in mortar. 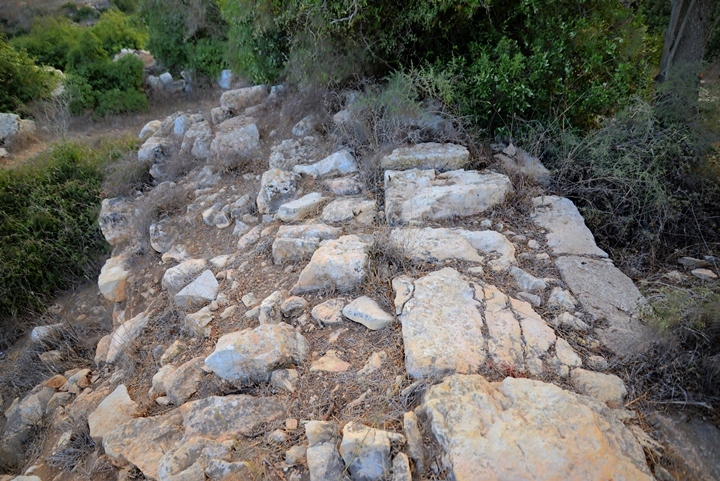 Remains of a side door on the north show diagonal dressing on the stones. A fig-tree grows in the nave. The west end of the church is almost entirely destroyed. Several pillar bases are lying about, one at the spring, south of the church. The east wall of the birkeh, surrounding this spring, is of polygonal blocks faced and set in mortar. The south wall is of squared stones. Burj Beitin —This place appears to have been a monastery and subsequently converted into a fortress. 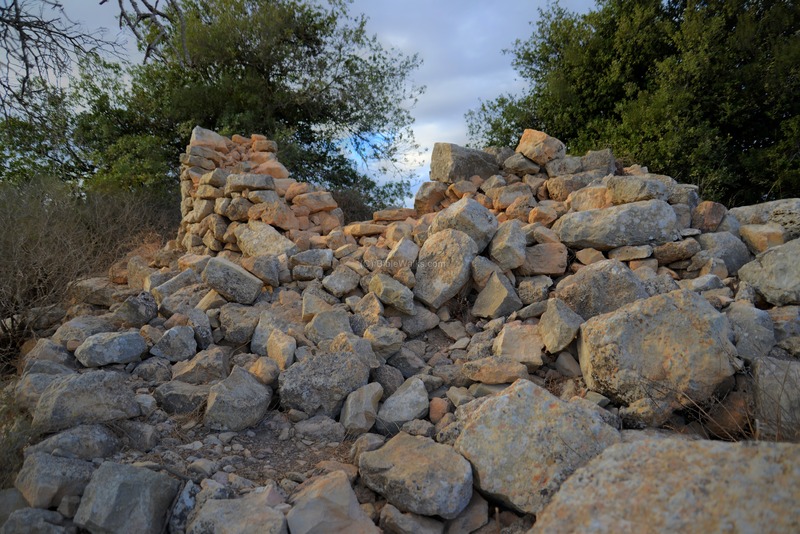 The ruins consist of a square area about 160 feet by 100 feet, having chambers along the wall. The masonry is good and plain, without drafts; at the corner is a small modern tower about 50 feet .square. of cornice in low relief representing vine-leaves and grapes ; this last is 18 inches high, and is built vertically into the wall. The plan of the church itself was not distinguishable ; the character of the lintel would lead to the conclusion that the building whence it was taken was of the Early Byzantine period, fifth or sixth century. There are remains of a vault, now choked up. The walls are of good ashlar outside, of inferior ashlar within, the core of rubble. The mortar is soft and brownish, the joints laid with much mortar and a packing of small chips in parts. 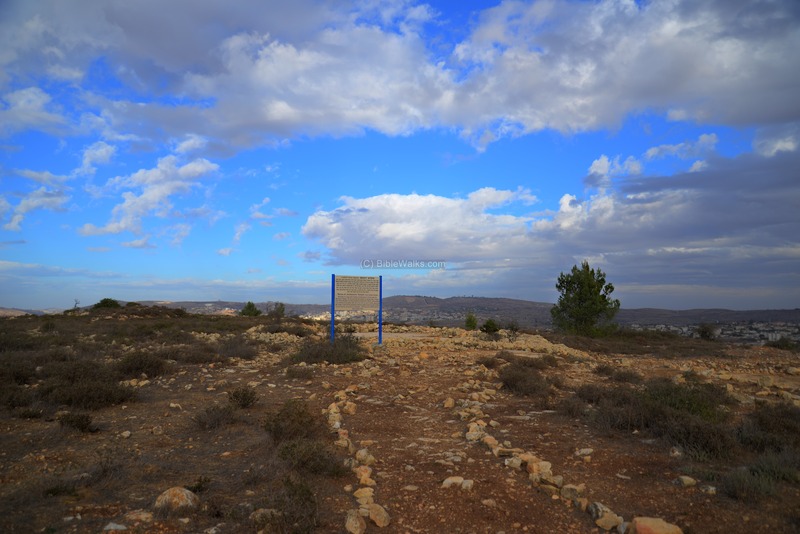 The Jordan valley is plainly visible from this spot, which is probably a traditional site of Abraham's altar, east of Bethel". 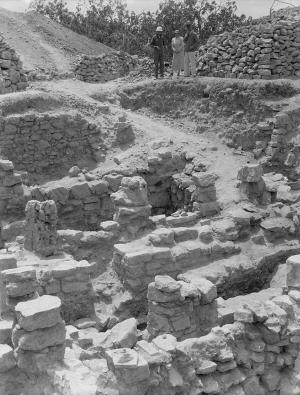 Excavations in Beitin were conducted in 1934 and 1954 by P.F. Albright and J. L. Kelso. In 1980 Ze'ev Vilnai, the distinguished Israeli geographer and author (1900-1988), visited the site north of the modern Jewish community of Beit El. He suggested to identify the place of Jacob's dream and the altar of Jeroboam at this site, rather than the traditional identification at nearby village of Beitin. The complex known as "Jacob's dream" is an open public area on the north side of the modern community of Beit el. Trails and signs guide the visitors through the major points of interest. This southern view of the site shows center of the complex. On the left is the Sheikh's tomb, or rather a makam (shrine), dedicated to Sheikh Abdallah. 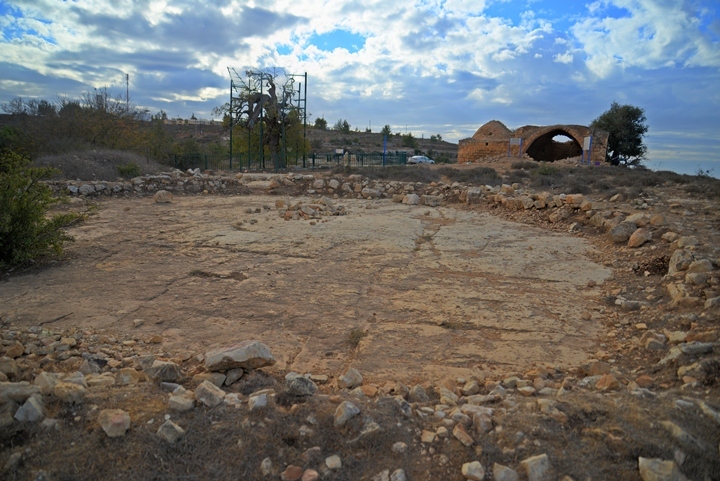 In the center is a large rock platform, where according to some scholars this is the rock of Jacob's dream. On the right is an ancient, 1,000 years old, oak tree. An aerial view of the site shows the larger area of the complex, with a view towards the north east. 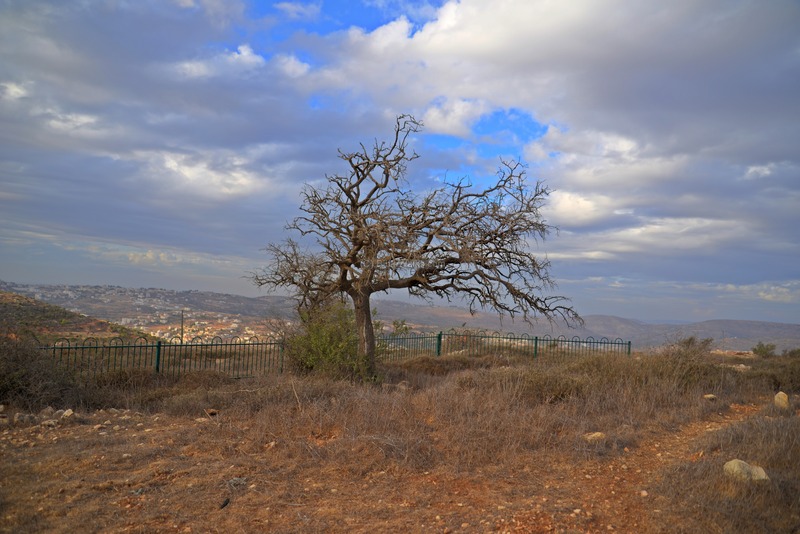 As seen in this view, a great view of the Land of Israel opens up from all sides. This high place may indeed fit a probable site where Jacob views his promised land. A legend of the places of interest is marked on this view below. You can point on the yellow squares to navigate to the selected place within this page. A large natural rock surface is exposed in the center of the site, between the shrine and the oak tree. This place may have been the site of Jacob's dream. An oak tree, more than 1000 years old, is located east of the Muslim shrine. 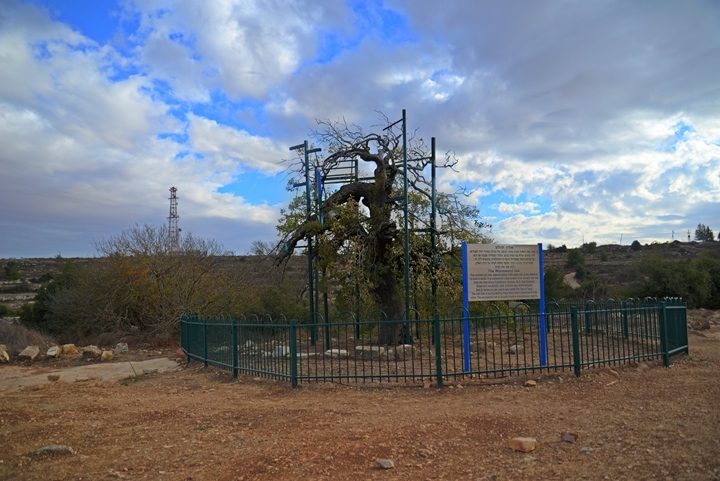 This tree and others in the compound, were protected and survived over the years, as they were considered sacred to the Muslims as they grow around the prayer house. Another view of the tree is in the next photo. The tree is a Boissier Oak (Latin: "Quercus Boissieri"), which was named after the French scientist who identified it. This oak tree grows on high mountains, normally above altitude of 800m, as it enjoys cold temperature. 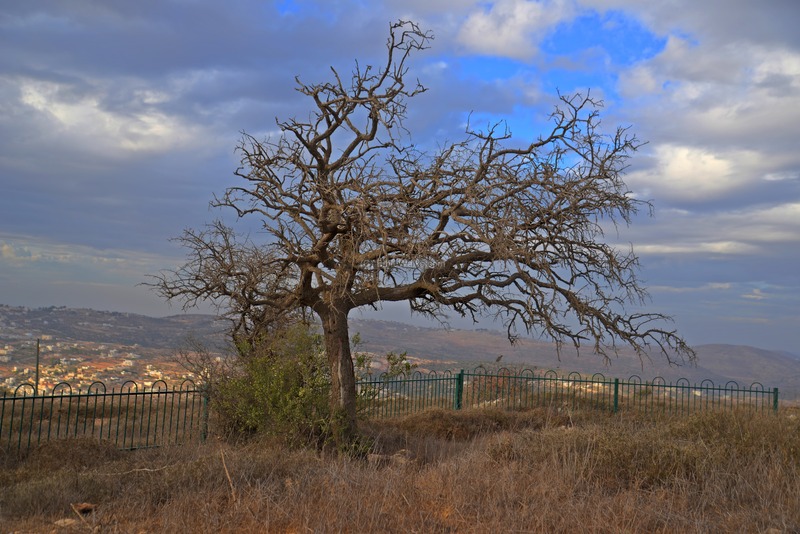 Such trees can be found on other high mountains, such as Mt Hermon and Mt. Meron. The Hebrew name of the oak tree is : "Alon Hatola". It means "Worm Oak", named after its worms that build up galls that had commercial uses in antiquity, such as for leather tanning and dyeing material. Other ancient trees grow in the complex. 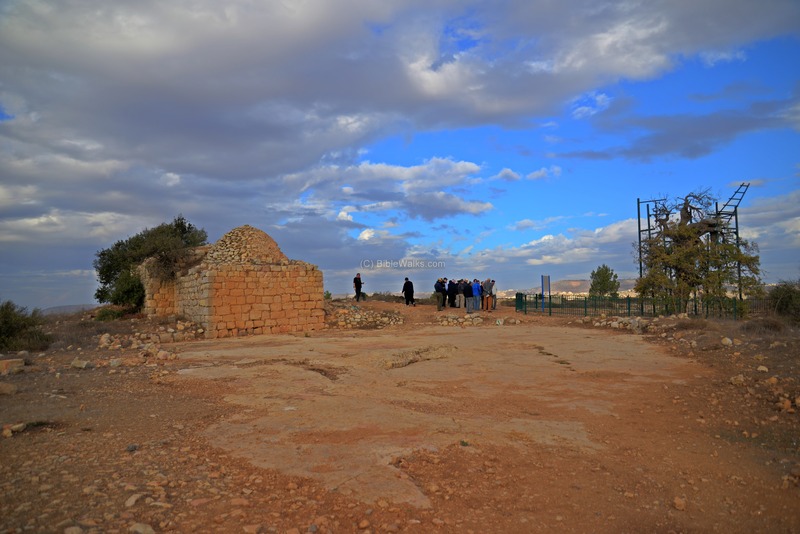 The Muslim prayer house (Makam) of Sheikh Abdallah is the only standing structure in the site. 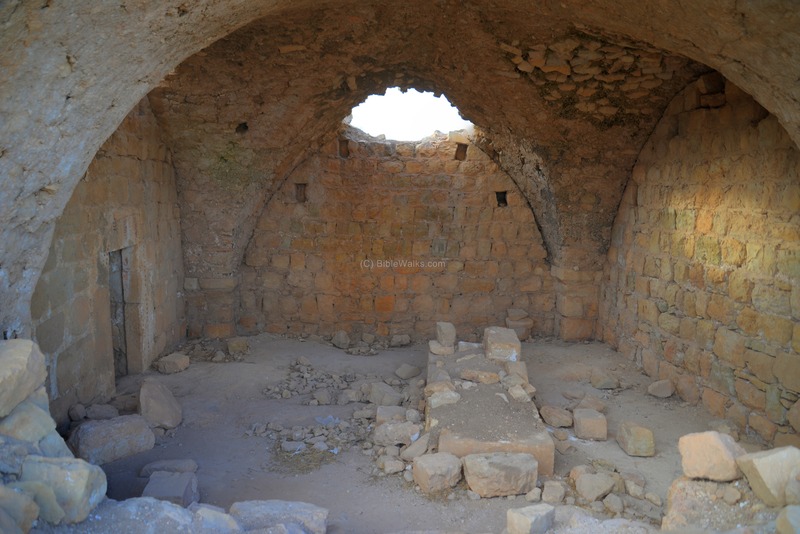 The structure has two sections: On the left is a closed room, used as a Muslim prayer place. On the right is an open arched building, which is a Crusader period chapel. Entrance to the prayer room is located on the southern wall of the chapel. On the southern wall is a Mihrab - a Muslim prayer niche pointing to Mecca. The Muslim Quran regards Jacob (Ya'qub) as a prophet, and is cherished - like Abraham and Isaac - as one of the the founders of the monotheism. The Arabic name of the Makam, Sheikh Abdallah, means: servant of God, which may imply to Jacob. The mihrab's wall is decorated with paintings of red trees. The branches of palm trees are often used as decorations in Muslim holy sites, as the palm tree symbols life. 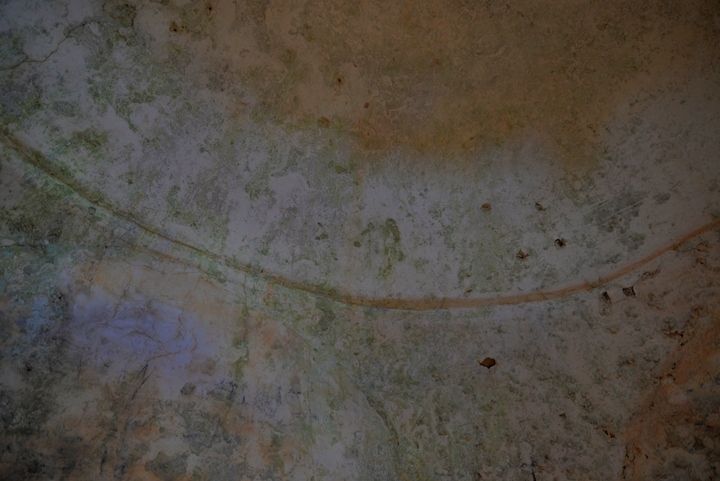 The ceiling of the dome above the room is engraved with a single groove. A rear view of the structure is seen in the following photo. The dome of the prayer room is on the right side. 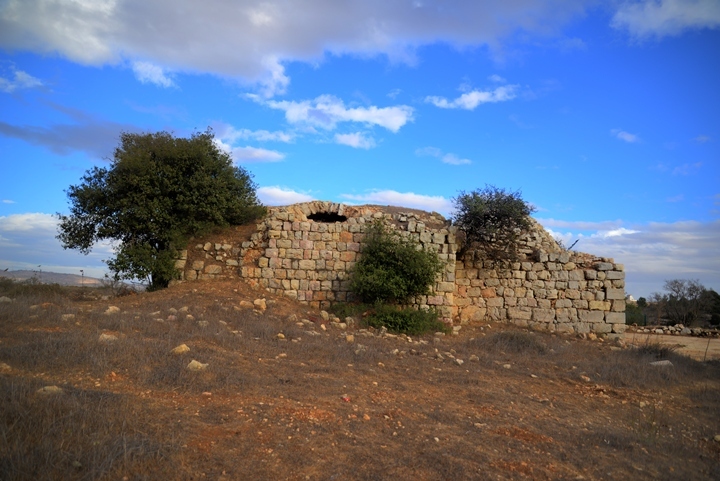 The northern section of the structure is dated to the Crusaders period. 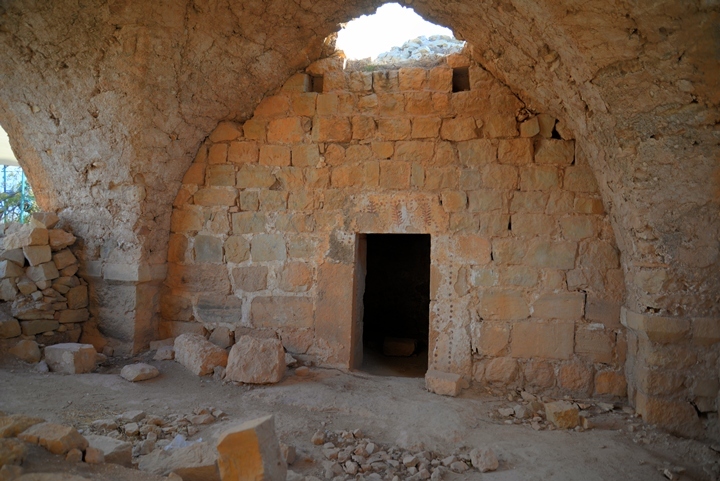 The arches are typical of the Crusader building styles. In its center was an altar used for celebrating mass. A closer view of the center of the chapel, with the monument built like a tomb. It is decorated with paintings of red trees. 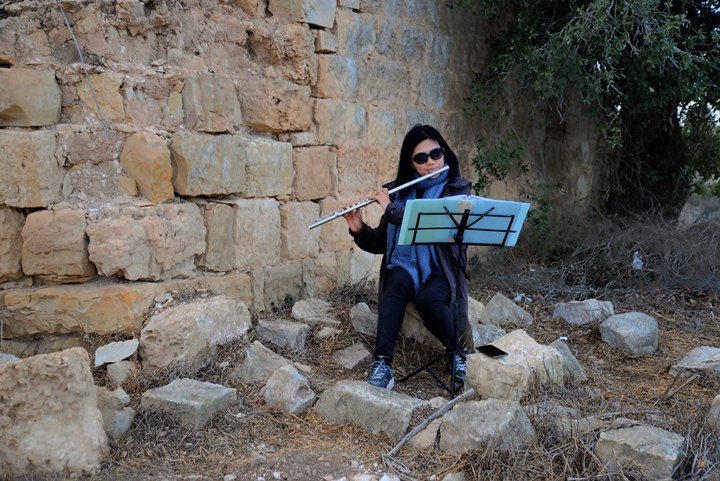 While walking towards the structure, we heard music sounding in the background. 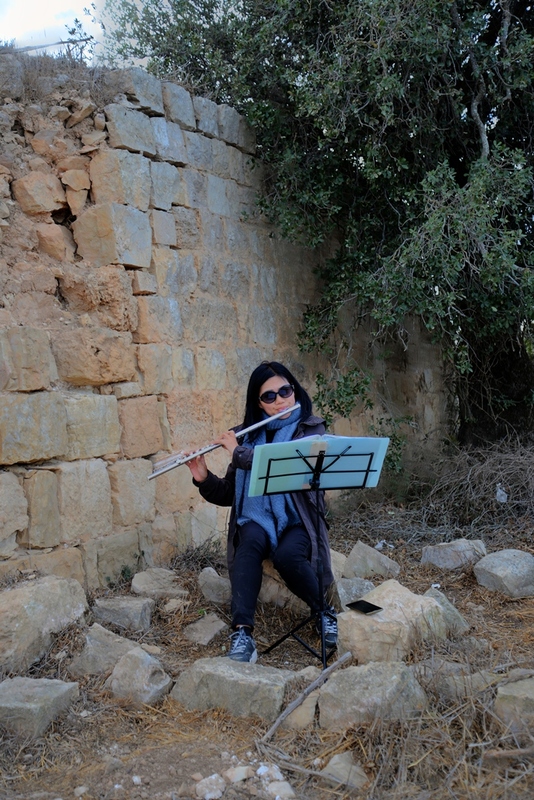 Curious to find out the source of the music, we found out that a South Korean Christian, a young lady by the name of Shin, was playing the flute. The holiness of the site, together with the heavenly sounds originating from her soul, touched us with excitement. You can listen to her music. 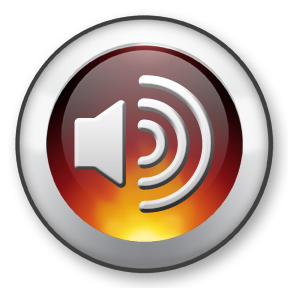 It is a live, uncut, recording of three tunes. Click here to run it. Remains of a large public structure is located to the north east of Jacob's rock. The remnants of its walls can be seen around a rock surface. 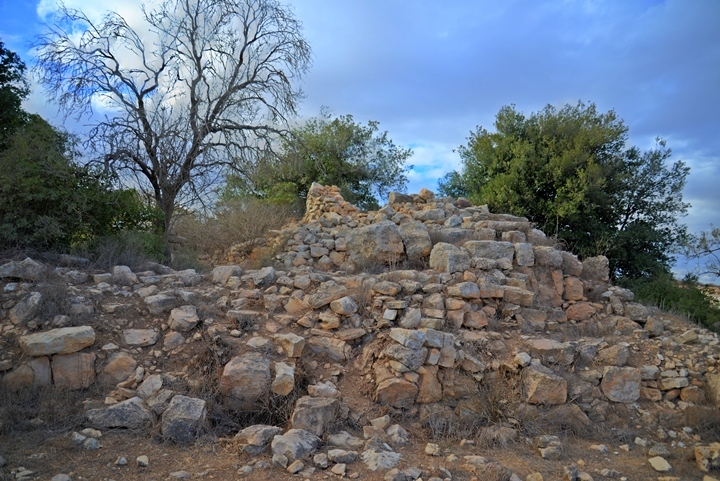 Ze'ev Vilnai identified this as the temple built by Jeroboam, king of the Northern Kingdom of Israel, after the split from the Southern Kingdom of Judah. 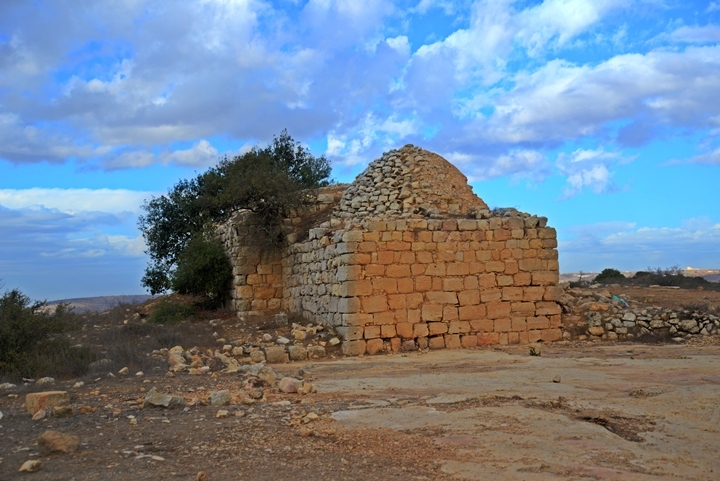 The Bible wrote that Jeroboam built two temples in Beit El and in Dan, as an alternative to the temple in Jerusalem (1 Kings 12:29): "And he set the one in Bethel, and the other put he in Dan". This alternative temple was laid out in the area that according to Jewish tradition was the place of Jacob's dream, an important event in the history of the Jewish people. Its dimensions match the Tabernacle of Moses ("Mishkan")- 15m (30 cubits) long by 7m (14 cubits) wide. 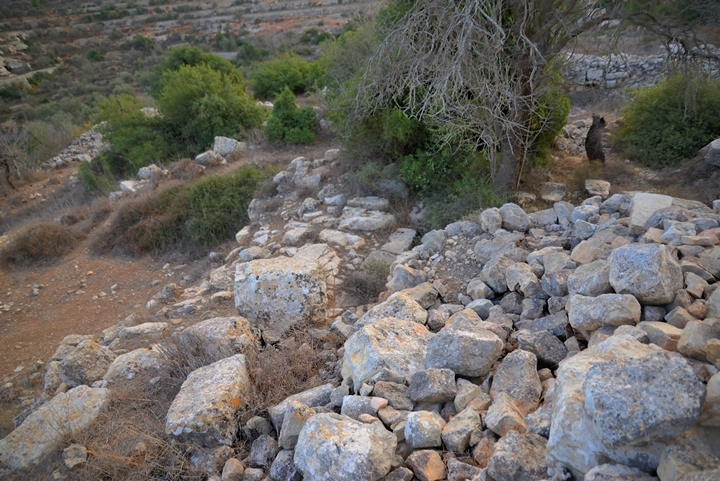 To the north is a pile of rubble, seen in the center of the next photo. It may have been used as an altar. Probably, the golden calf, which Jeroboam made for his two altars, was placed on top of the high place. The temple and the altar were destroyed 300 years later by King Josiah of Judah (2 Kings 23:15): "Moreover the altar that was at Bethel, and the high place which Jeroboam the son of Nebat, who made Israel to sin, had made, both that altar and the high place he brake down, and burned the high place, and stamped it small to powder, and burned the grove". 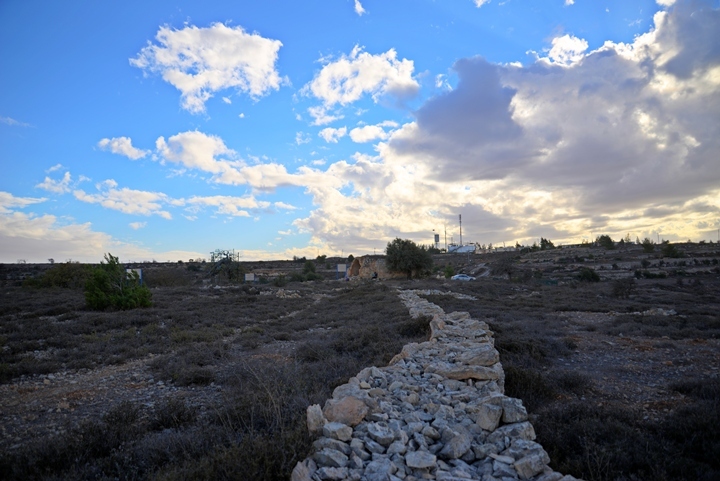 The area of the entire complex covers 200m by 100m, and is surrounded by a low wall that defined the sacred ground. 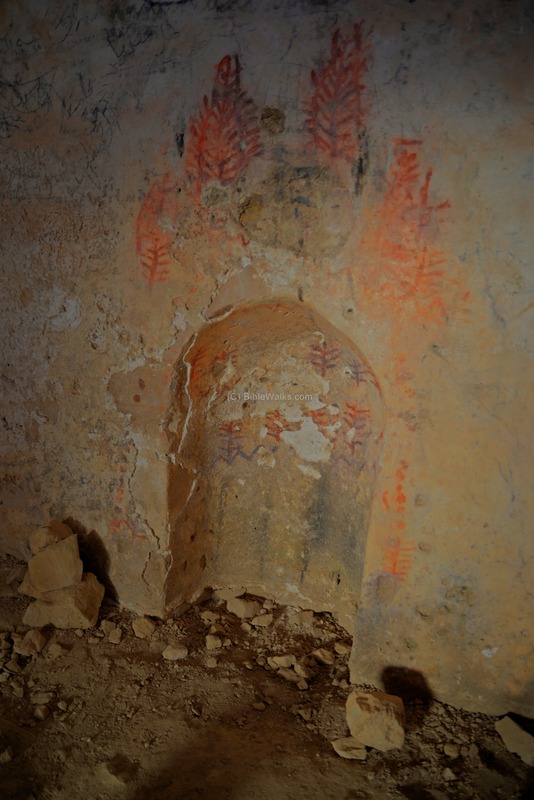 There are more than a hundred burial caves around the site, also implying to the holiness of the site. 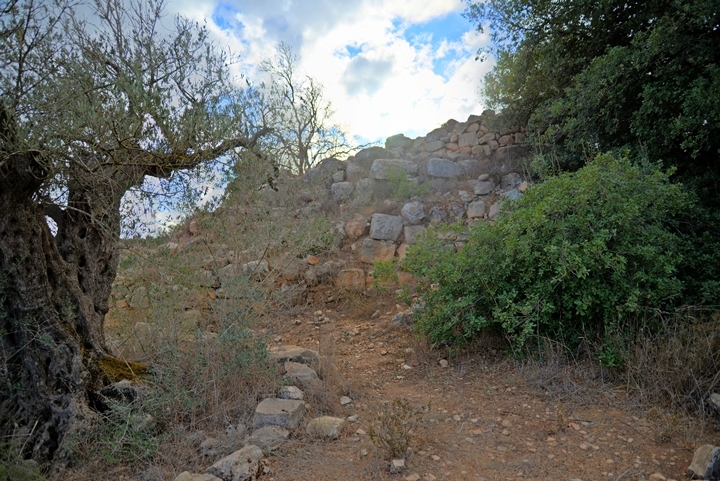 The first tomb, dated to the second temple period, is located next to the old oak tree. Another view of the burial cave, located close to the center of the temple area. 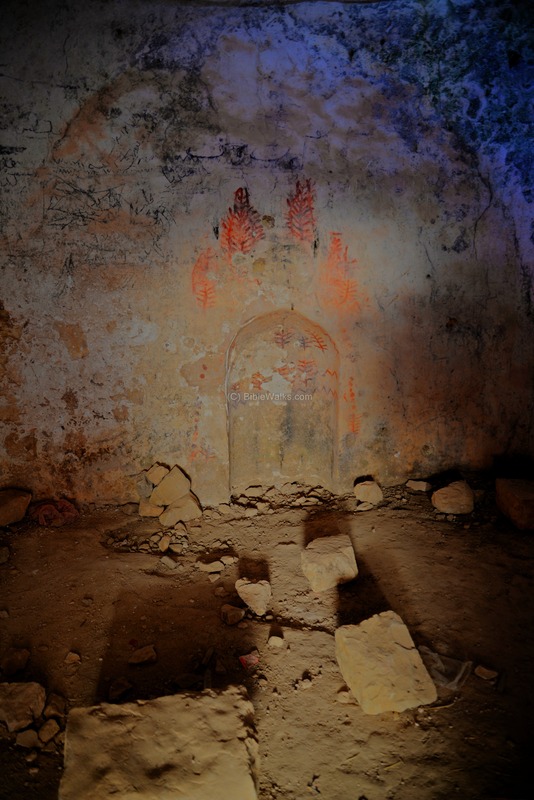 Most of the tombs are dated to the second temple period, and a few date back to the first temple period. 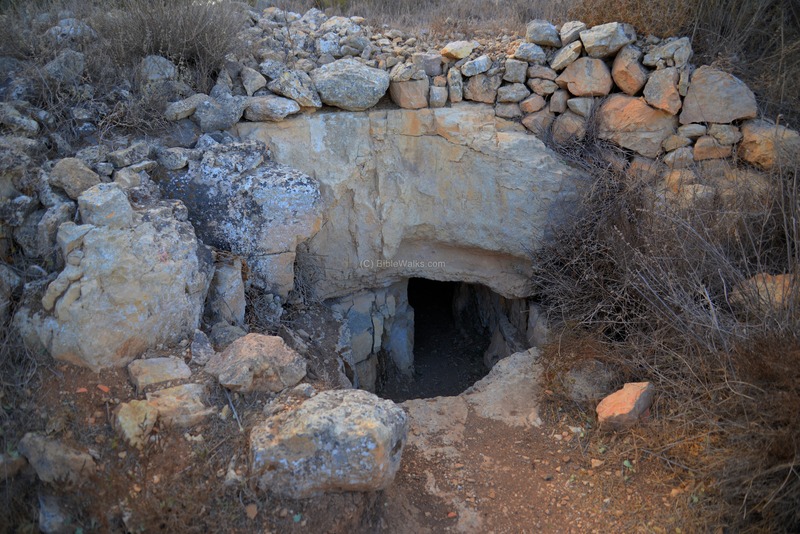 As Jews sought to be buried near sacred places, the large number of tombs hewn around the temple area indicates that this was an important sacred area. Josiah King of Judah removed the bones of these graves in Beit El when he demolished the temple (2 Kings 23:16): "And as Josiah turned himself, he spied the sepulchres that were there in the mount, and sent, and took the bones out of the sepulchres, and burned them upon the altar, and polluted it, according to the word of the LORD which the man of God proclaimed, who proclaimed these words". Jeroboam's temple had to be protected and fortified. Indeed, remnants of the fortifications were found around the site dated to the period of Jeroboam (10th century BC). 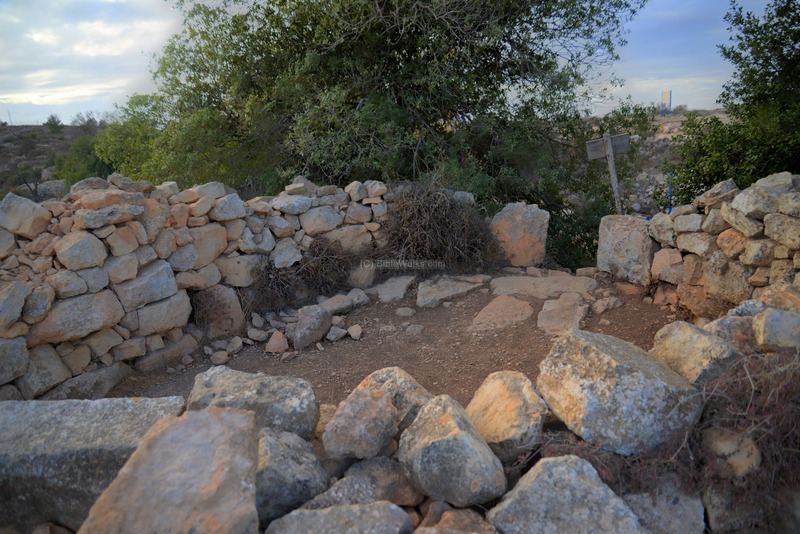 This wall (left side) and tower (right side) are located on the southern side of the hill. The following photos focuses on the ancient tower. Its base was dated to the Iron Age, and the tower was rebuilt during the Roman period. The wide fortification wall is located near the tower. Near the tower, on the south side of the temple, are bases of walls and houses that once housed the soldiers that protected the sacred precinct. Beitin - Arabic name of BethEl; the nearby village (2km south). Luz - the ancient name of Beth-El (Genesis 28:19): And he called the name of that place Bethel: but the name of that city was called Luz at the first". 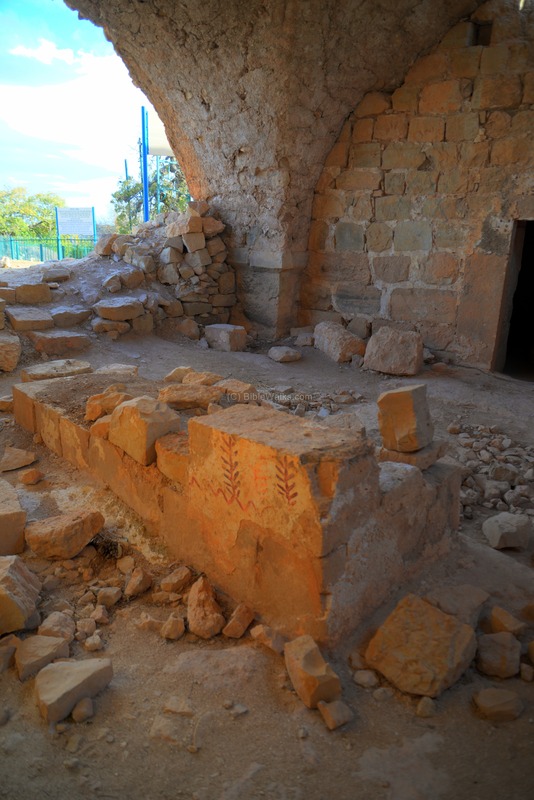 Beth-El ("house of God") is the place where Jacob dreams of a ladder, and where he was renamed to Israel. 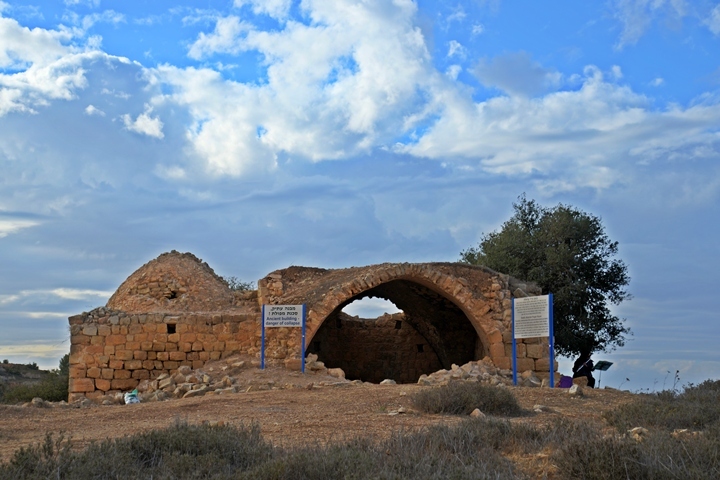 It became a religious center where Jeroboam placed his Golden Calf. 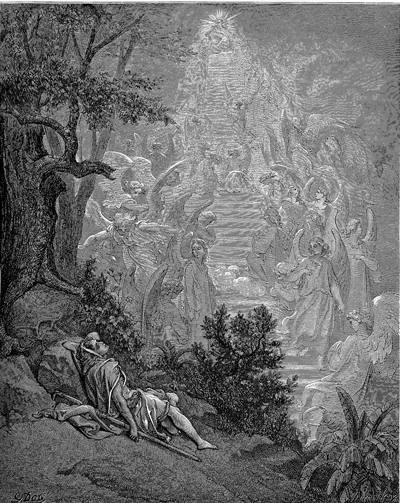 The Samaritans identify Luz on Mt. Gerizim, and named their town as Luza.